This awesome little lady is Coco! She may be an older(ish) dog, but she has plenty of spicy, fun energy to go around! She is a very loyal companion who will want to be by your side whenever possible. She’ll follow you around your home to make sure everything is a-ok and try to lend a helping paw wherever she can. Coco was surrendered to the shelter when her owners moved and could not take her with them, and it is clear that she was someone’s beloved companion…she is house-trained and knows basic commands. Walks are one of her favorite things to do and she would really enjoy someone who likes getting out as much as she does. She walks excellently on her leash and is very well behaved in all sorts of situations. She’d really love to join you wherever you venture out to! 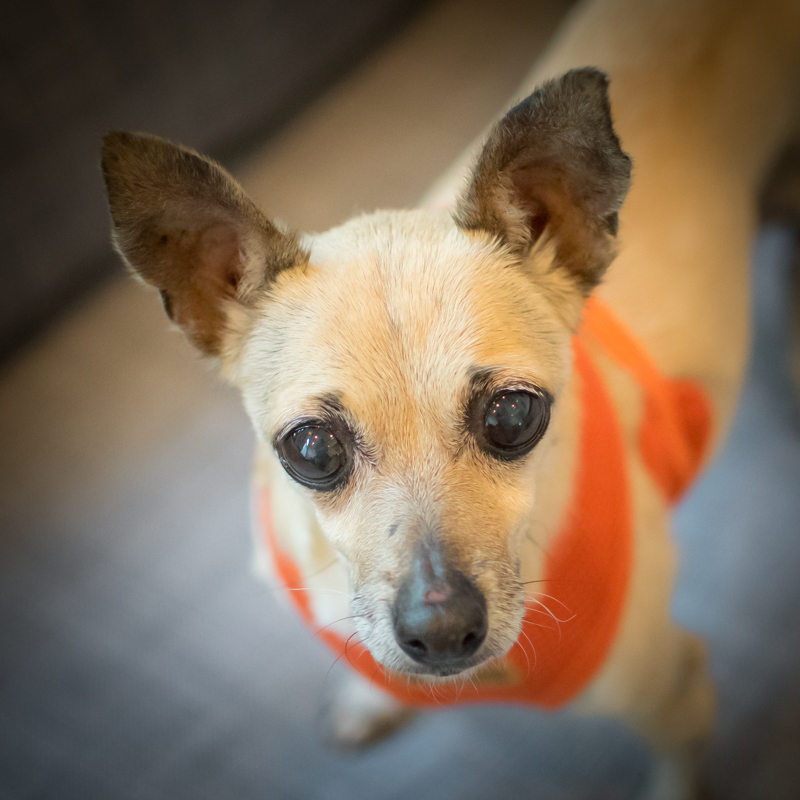 Coco gets along well with other small dogs and would enjoy a canine sibling in her new home, but would also make an amazing solo companion. She really loves just about everyone she meets and while she may be shay at first, she warms up quickly and is on her new friend’s lap in no time. Once her playtime and walks are through, she is a champion lap dog…she is very content to curl up and snuggle beside her people., though she is never pushy for affection. Coco really is one of the sweetest dogs you will ever meet, with an incredibly loyal disposition. She’d fit in perfectly with someone that will shower her with the love that she deserves.